No matter what your reasoning is for moving from NJ to Los Angeles, Simonik Moving & Storage can help. We know that it’s important for people to choose the right movers for their relocation. Since 1977, we’ve been committed to providing excellent customer service and professional moving services. We’re proud to be a Better Business Bureau-accredited business and an award winning agent of Allied Van Lines. 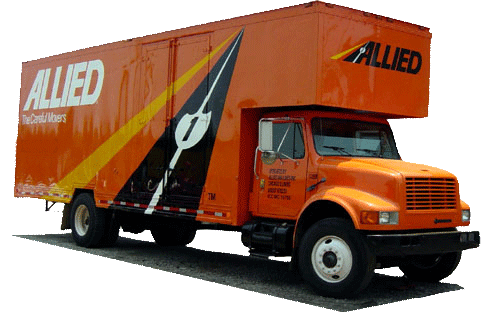 As an agent, we’re part of a nationwide network of moving and storage professionals. When you choose us, you can count on us for handling moves of any size, anywhere in the United States. When you choose a moving company for your relocation, it’s important to find one that can handle all aspects of your move. When you work with Simonik Moving & Storage for moving to Los Angeles from New Jersey, you’ll be assigned a dedicated Relocation Coordinator who will be there to answer any questions you may have as well as help you navigate through the process of moving. When you arrive at your destination, you may find that you need storage options. When moving from New Jersey to Los Angeles, many people find that they aren’t ready to receive all of their household items, and in those cases, Simonik Moving & Storage is prepared with the perfect solutions. We’ll pack your items into containers designed for long-distance shipping, and store those containers for any length of time you need in our secure warehouse facility. Simonik Moving & Storage has decades of experience helping move households throughout Central and North New Jersey, including Hunterdon, Mercer, Middlesex, Monmouth, Morris, and Somerset counties. We have previously won the Mover of the Year award from the New Jersey Warehousemen & Movers Association, and we’re a ProMover Member of the American Moving and Storage Association. Our ties to these organizations keep us up to date on the requirements associated with long distance moves, and we’re able to do anything you need to complete your NJ to Los Angeles move. To learn more about our services for NJ to Los Angeles moving, call Simonik Moving & Storage today, or use our online quote form to request your free, no-obligation moving estimate.